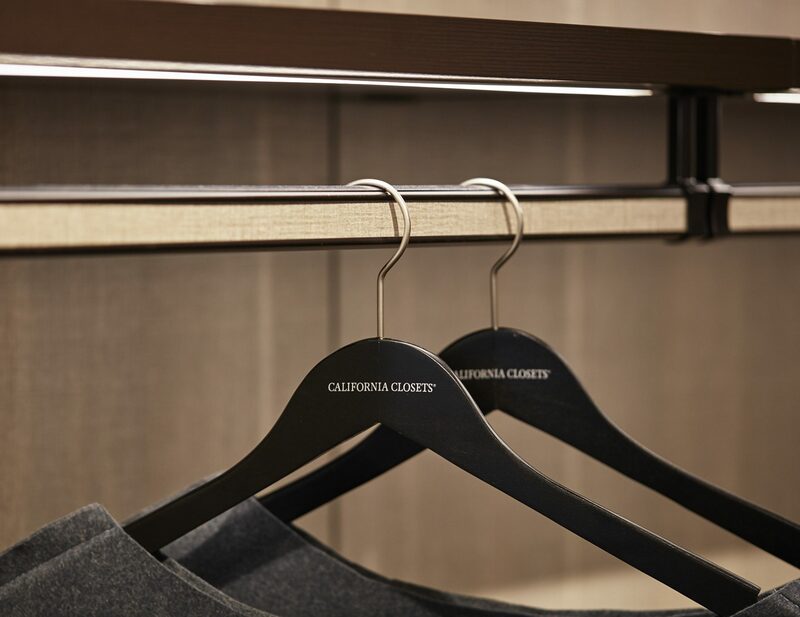 Regardless of where you install a custom closet system in your home, proper closet organization ensures that your system makes your everyday routine simpler and more efficient. 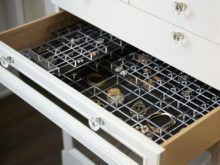 With options such as drawer dividers, specialty racks and hanging tools, everything you need to store will have a designated place within your home. 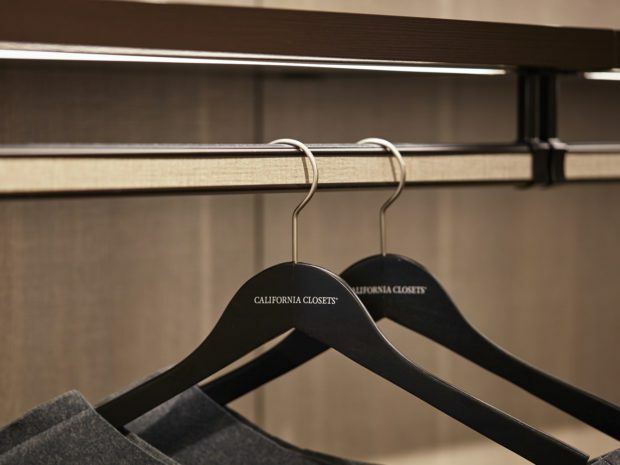 As your needs grow and change, our various closet organization tools will allow your closet to keep up with your lifestyle. Pull-out hampers in your walk-in closet let you tuck away your dirty clothes, then easily access them when it’s time to do laundry. Pull-out racks in your closet maximize space and keep belts, ties and scarves organized and accessible. A slat wall system in a garage helps you organize your workbench and provides a place to store regularly used items in baskets or on hooks. Drawer dividers in a custom closet or home office system make it easy to find small items and supplies. Adjustable shelving in a kid’s closet ensures adaptability as your child grows from toddler to teen. Vertical shelf dividers in a custom laundry room allow you to easily store mops, brooms and other cleaning supplies. 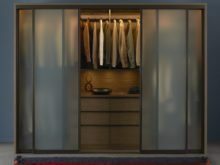 In addition to creating privacy when you need it and opening up a space when you don't, sliding doors and room dividers are the final finish on a wardrobe or reach-in closet. They are an essential design element that can transform a standard wardrobe into the perfect built-in addition to your home. Choose from a variety of minimalistic frame options to fit your design aesthetic. 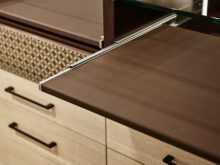 In addition to our Classic, Lago® and Tesoro™ finish options, we offer a variety of accent materials that can be used for sliding doors, including Ecoresin, satin or back-painted glass, leather, acrylic and more. Sliding doors provide smart design solutions in large or small spaces. 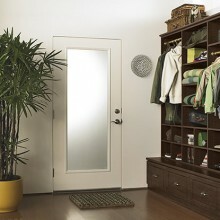 Sliding doors can also be incorporated on a cabinet or a shelf. 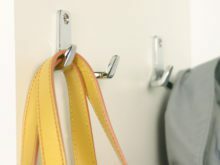 Multifunctional hooks work well in a number of spaces to fit your organizational needs. Optimize space with hooks that hold a myriad of items, from coats to sports equipment. Choose from cleat mount, slatwall and double hooks. We have a variety of hook styles, each with a different purpose. Made from cast steel for strength and durability, our hooks are designed to prevent wear and tear on your clothing. 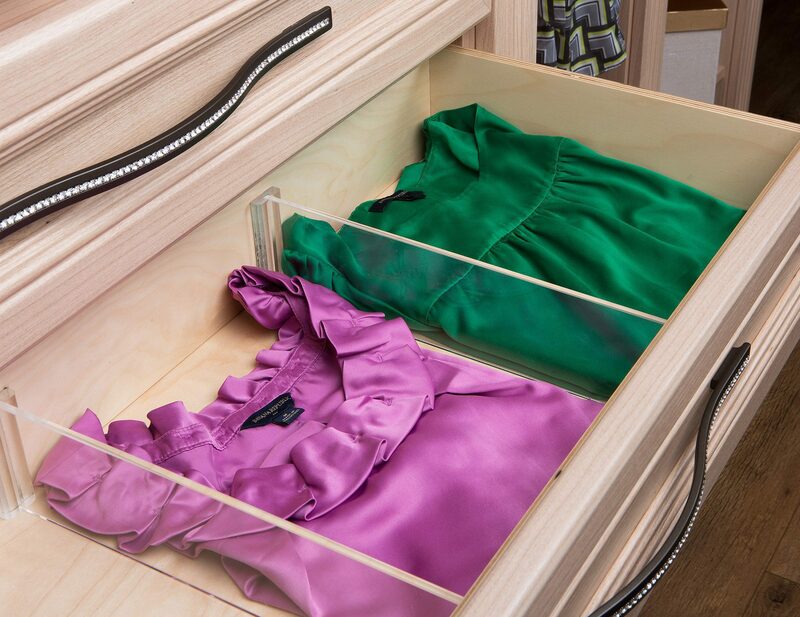 Clothing dividers, cleverly designed for both drawers and shelves, keep items separated, organized and easy to access. 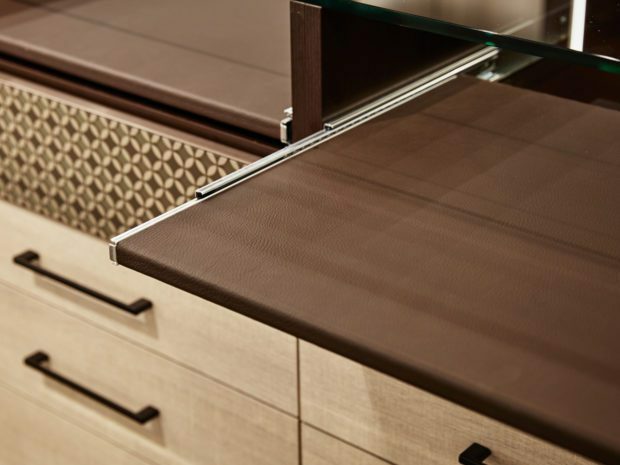 Dividers allow for superior organization within a drawer, ensuring the space doesn't get too cluttered or crowded. 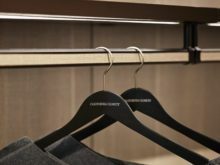 Clear shelf dividers blend into the space while providing separation between stacks of clothing. Pull-out shelving options create storage flexibility for purses, pants and more. Jewelry dividers showcase your most cherished and valuable accessories, elevating your morning routine to that of shopping in your own personal boutique. Dividers organize every precious piece of jewelry, making it easy — and fun — to select accessories. Trays and inserts can be configured in various ways, providing tailored storage, while the lining carefully protects your treasured items. Choose from a variety of colors and finishes to suit your taste, from clear acrylic to microsuede. 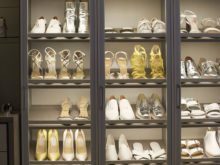 Create an incredible shoe display for your treasured shoe collection, where each pair shines and is easily seen and accessed with our variety of shoe storage options. Choose from an array of configurations and systems, from shoe fences to cubbies. 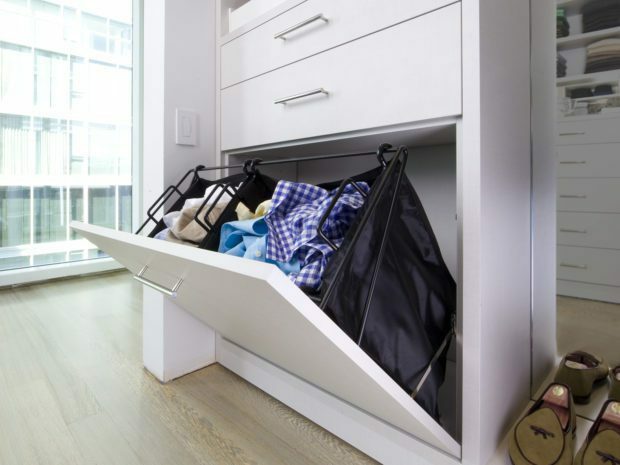 Shoe storage can be perfectly integrated into your closet system as part of a unified space. Organization options ensure space for every type of shoe, from high heels to sneakers, sandals, and boots. Hampers and baskets provide accessible catchalls for clothing and everyday items. Available in a variety of styles and sizes, these versatile storage solutions can be tailored to your organizational and aesthetic needs. Hampers integrate with closet systems for seamless design and functionality. They are available in pull-out or tilt-out styles and a variety of sizes. Baskets are the perfect solution for holding just about anything that needs to be contained — they are a truly universal storage solution. The sliding mechanism makes accessing stored items simple. Choose from wire and fabric options to suit your needs and design style. A 100 percent cotton canvas liner insert is available for all of our baskets, which helps add more style and elegance while also serving as a protective barrier. We offer a complete system of tie, belt and scarf racks; valets; mirrors; and more. These accessories are cleverly designed to save space and optimize the functionality of your organization system. 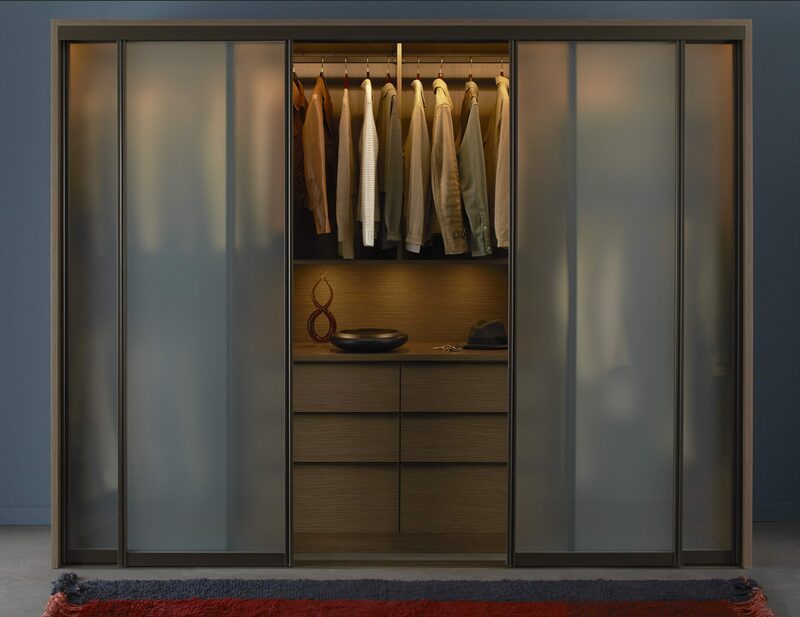 Optimize space with specialty racks designed for specific storage needs — ties, scarves, belts, skirts and pants. These racks hold a lot of clothes yet take up very little space. Pull-out racks offer smart, visual organization that ensures often-needed items are easily found. All of our pull-out accessories integrate easily with your closet system for seamless design and functionality.